Majid Al Futtaim, the leading shopping mall, communities, retail and leisure pioneer across the Middle East, Africa and Asia, has unveiled a vibrant and holistic shopping experience at City Centre Sharjah with the opening of its extension, which boasts 22 new lifestyle brands and family restaurants. 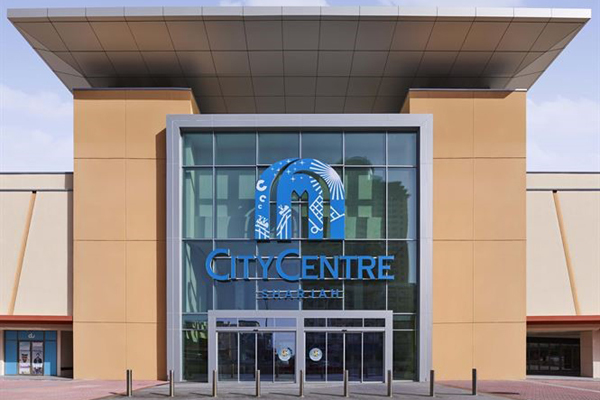 City Centre Sharjah’s Dh260-million ($71 million) revamp is aimed at transforming it into a regional retail and entertainment destination where families can gather to shop, eat and unwind is nearly complete, said the statement from Majid Al Futtaim. The mall has not only increased in size, from a gross leasable area of 37,728 sq m to 51,428 sq m, but has undergone an entire interior and exterior facelift that is set to elevate the customer experience. The mall’s contemporary design features a skylight ceiling and a redesigned entrance that allows natural light in, creating a warm and inviting ambiance for shoppers. Adding to the convenience and accessibility for customers, the parking facility has grown from 700 to 1,426 spaces, as well, said the retail giant. Fuad Mansoor Sharaf, the managing director for Majid Al Futtaim Properties, Shopping Malls (UAE, Bahrain & Oman) said: "City Centre Sharjah has evolved and transformed to meet the changing expectations of our customers. We began as a community mall, serving the day-to-day needs of this densely populated area of Sharjah, and are proud to have grown into a truly regional destination drawing visitors from across the emirate and beyond." Majid Al Futtaim said City Centre Sharjah now provides a one-stop solution for shoppers’ furniture and accessories needs with the opening of the affordable home solutions brand Home Box. Korean lifestyle store Mumuso is also making its Sharjah debut. This fun, quirky outlet is a treasure trove of goods, from soft toys and homeware to clothing and even electronic gadgets, it stated. "Lighthearted, affordable sleepwear for ladies is now available at Nayomi, while more athletic shoppers types should head to Healthy Sports. As well as stocking fitness and leisure apparel from sought-after labels such as Adidas, Nike and Under Armour, this sizeable store stocks home gym equipment for those wishing to work out in the privacy of their own residence," said Sharaf. "For affordable footwear in all manner of styles, shoppers should try Shoes for Us – it has ranges for men, women and children," he stated.